A flour tortilla filled with black beans and rice, topped with ranchera sauce and cheese. A flour tortilla filled with your choice of chicken, pork, ground beef, or shredded beef with rice, beans, cheese, lettuce, tomato, and sour cream. Your choice of chicken, pork, ground beef, or shredded beef with rice, beans, cheese, topped with verde sauce, lettuce, tomato, and cheese. A rolled flour tortilla filled with your choice of chicken, pork, ground beef, or shredded beef with rice, beans, and cheese. A flour tortilla stuffed with sautéed “in season” fresh vegetables, smothered in ranchera sauce, cheese, and pico de gallo. Charbroiled sirloin steak tolled in a flour tortilla with rice, beans, pico de gallo and guacamole. All combinations are served with rice and beans. Your choice of chicken, pork, ground beef, or shredded beef. Choose ONE item: Enchilada, Taco, Tostada, Flauta, or Burrito. Choose TWO different items: Enchilada, Taco, Tostada, Flauta, Burrito, or Tamale. Choose THREE different items: Enchilada, Taco, Tostada, Flauta, Burrito, Tamale, or Chili Relleno. Deluxe – with sour cream and guacamole for an additional 3.29. 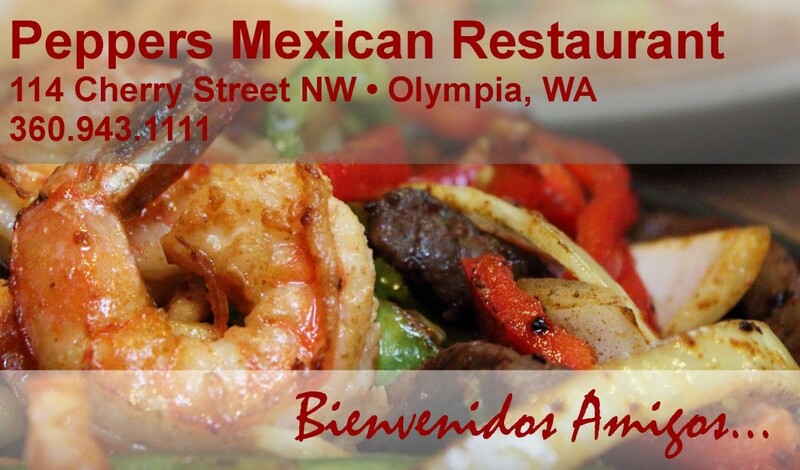 Grilled strips of chicken sautéed with onions, green pepper, tomato, and cilantro in our incredible ranchera sauce. Served with rice, beans, and warm tortillas. Tender chicken in our delicious cream sauce with mushrooms, onion, and garlic. Served with rice, beans, and warm tortillas. Marinated chicken, cheese, sour cream, and guacamole. Served with a side salad and cilantro dressing. Tender chicken strips, mushrooms, and onion over a bed of rice and smothered with verde cheese sauce. Served with rice, beans, and warm tortillas. Choice of chicken, ground beef, shredded beef or pork with our delicious sweet and spicy mole (chocolate) sauce. Served with rice, beans, and warm tortillas. A grilled breast of chicken served with rice, beans, pico de gallo, and deep-fried Jalapeno. Served with rice, beans, and warm tortillas. Flour tortilla filled with shrimp, cod, crab, onion, and mushrooms smothered with our delicious white sauce. Fresh prawns sautéed with onion, green pepper, and tomato in our incredible red sauce. Delicious seasoned prawns sautéed with onions and mushrooms in a spicy red sauce. Sauteed prawns, mushrooms, and onions in a light garlic cream sauce. Crab enchilada made with REAL crab, onion, and tomato smothered in our creamy seafood sauce avocado, sour cream and grated cheese. Crisp corn tortillas rolled and filled with your choice of shredded beef or chicken. Served with rice, beans, sour cream, and guacamole. Two soft corn tacos with grilled top sirloin, onions, tomato, and cilantro. Served with rice and beans. Soft corn tortillas filled with garlic mashed potatoes then friend and topped with shredded cabbage, pico de gallo, and red salsa. Served with rice and black beans. Your choice of two hard shell tacos filled with chicken, ground beef, shredded beef, or pork, lettuce, tomato, and cheese. Served with rice and beans. Two cod tacos made with white soft corn tortillas, cabbage, pico de gallo, and light cream sauce. Served with rice and black beans. Three marinated pork tacos topped with fresh onion, cilantro, and lime. Served with rice and beans. Two crisp tostadas topped with marinated shrimp and cod with lemon juice, onion, tomato, peppers, and cilantro. A crisp corn tortilla topped with grilled top sirloin, onion, tomato, cilantro, and guacamole. Served with rice and beans. A crisp corn tortilla topped with your choice of chicken, ground beef, shredded beef, or pork, beans, lettuce, tomato, and grated cheese. Served with rice and beans. A crisp corn tortilla topped with fresh guacamole, lettuce, tomato, and grated cheese. Served with rice and beans. Marinated pork or chicken over fresh guacamole topped with fresh onion, cilantro, and lime. Served with rice and beans. Ensaladas are served with your choice of our delicious dressings: Pepper’s Chile Ranch Dressing, Pepper’s Cilantro Dressing, Pepper’s Chipotle Dressing. Marinated, grilled chicken strips atop garden fresh lettuce with tomato, olives, and grated cheese. Marinated, grilled chicken strips and shrimp atop garden fresh leetuce with tomato, olives, and grated cheese. Grilled chicken breast atop garden fresh lettuce with tomato, avocado, and grated cheese. Grilled shrimp atop garden fresh mixed greens with tomato, olives, and grated cheese. Marinated grilled beef or chicken, sautéed onion, green peppers, guacamole, pico de gallo, and sour cream atop a bed of garden fresh lettuce. A crisp flour tortilla shell filled with garden fresh lettuce, tomato, olives, refried beans and grated cheese topped with your choice of chicken, ground beef, shredded beef, or pork. Hearty natural broth with chicken, rice, and chef’s choice of vegetables. Served with warm tortillas. Green chiles simmered with tender pork. Served with warm tortillas. Addictive! You will be back for more! Hearty broth with grilled chicken breast, onions, avocado, tortilla strips, grated cheese, and cilantro. Served with rice, beans, and warm tortillas. Ranch fresh eggs scrambled with Mexican chorizo sausage. Ranch fresh eggs scrambled with Nopales cactus and pico de gallo. Fried eggs smothered with our incredible verde cheese sauce and topped with fresh grated cheese.